History is another topic that fascinates me, and today I hope to share that fascination with you. History is a great way to put things in perspective. 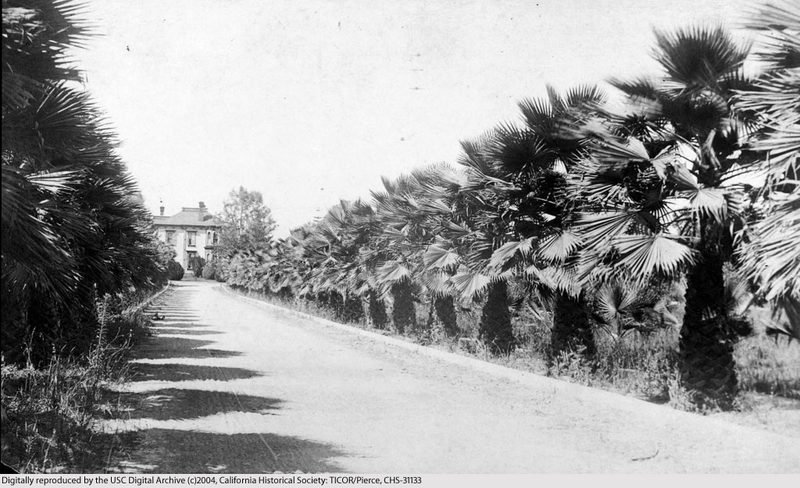 At one point in time, these palm trees were a huge tourist destination and were pictured in newspapers, postcards and written about by curious travelers. Where are they today? Well, I won’t spoil it, but time has a way of eroding what were once treasures. This 1941 map of Los Angeles clearly shows Palm Drive off of Adams Blvd. 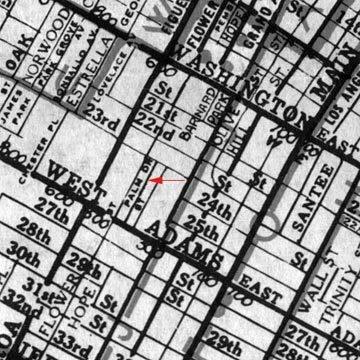 Around 1869, a man named Charles A. Longstreet purchased a spot of land near W. Adams St. in Los Angeles. He then had a home built with a miraculous palm tree-lined driveway, as seen in the picture to the left. 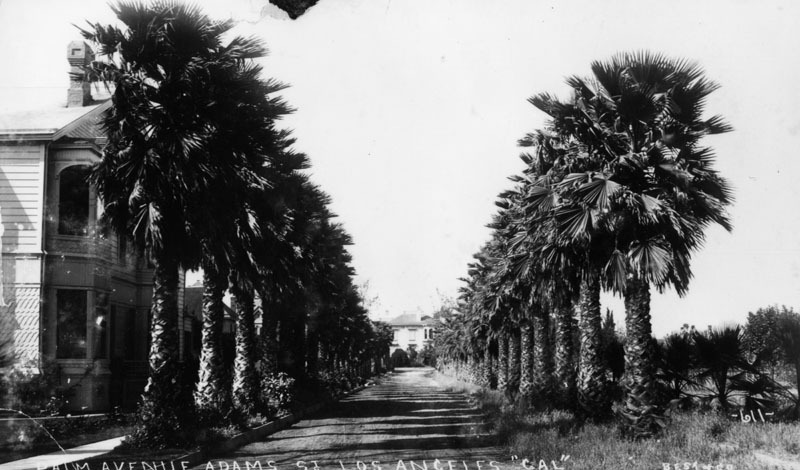 The tree-lined street was named Palm Drive. By 1900, the home had been converted into an osteopathic hospital. 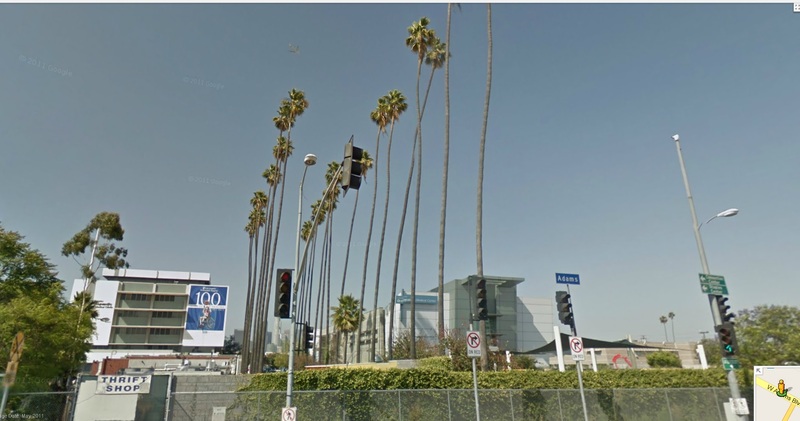 Today, the palms stand – mostly forgotten – off of the Adams exit to the 110 Freeway. Most were cut down in 2007 when the hospital was bulldozed for new construction. 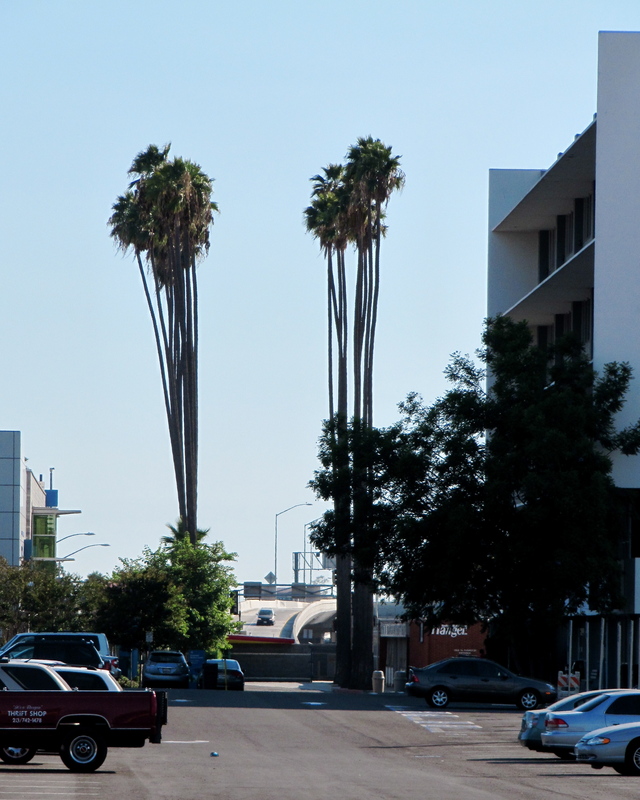 So, there they stand, the most fascinating palm trees in Los Angeles. 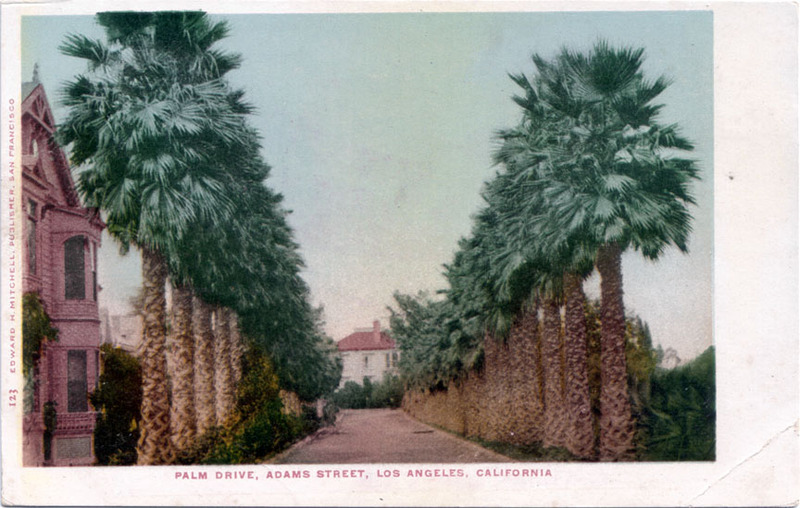 People used to come from all over to see the legendary Palm Drive. The palms have given solace to many young children hoping to one day walk again, and have inspired artists and merchants staying in the upper class hotels. Today, they stand and remember all that they have bared witness to, even if the people now passing by them give them a passing glance at best. But such is the fate of history! To say we will never forget, and then forget. 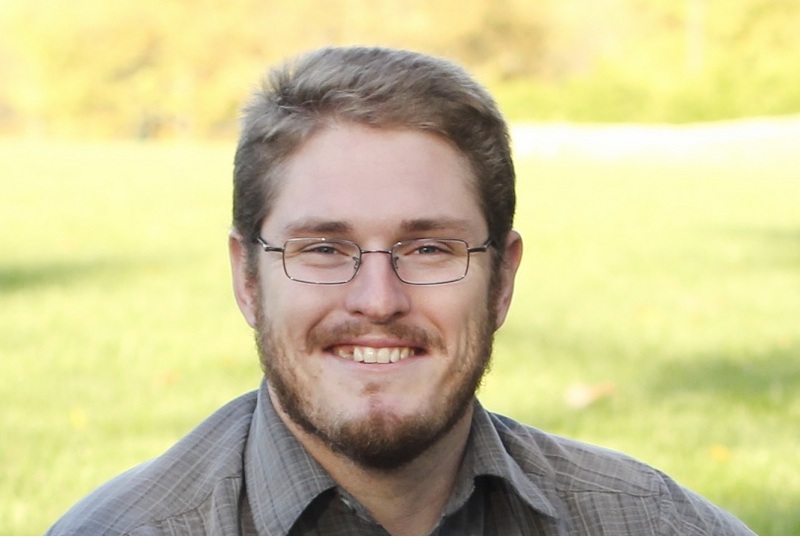 Sorry for the formatting – WordPress is not being friendly to me tonight! Hello, Are these palms still around? I am wondering/concerned if they have since disappeared in the last 3 years since this was written. Thank you! The last time I drove by about six months ago, they were still there. There are fewer of them now due to construction, but you can still see about eight of them right off the 110 freeway at Adams Blvd.